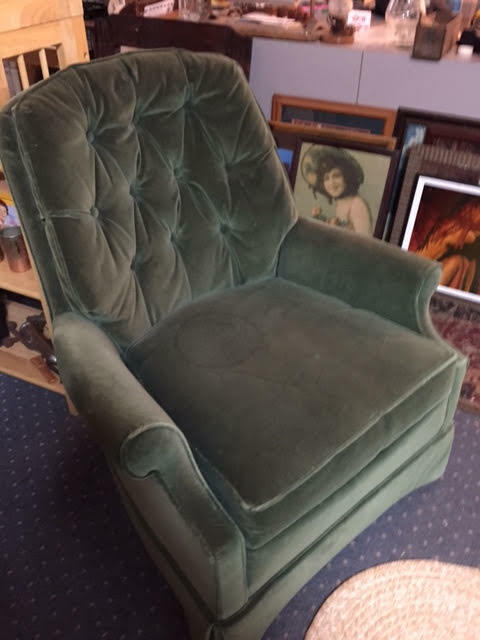 Condition: Excellent. 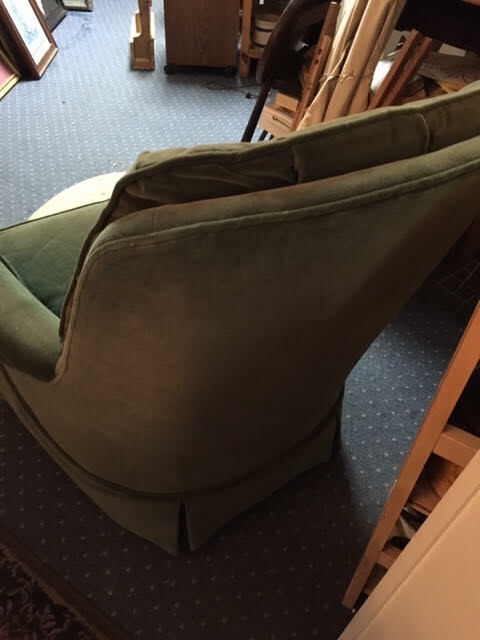 Some of the photos may look like there’s a ring in the seat, but that’s just a temporary indentation from a bowl that was placed on the chair overnight. 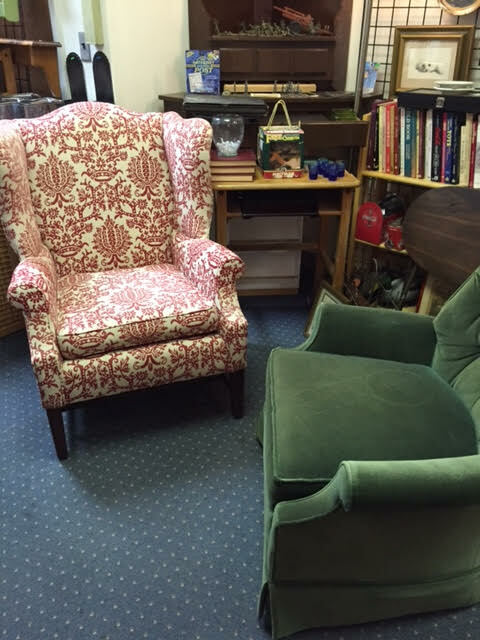 Dimensions: About 36″H (to the top of the back) x 30″W x 24″D. 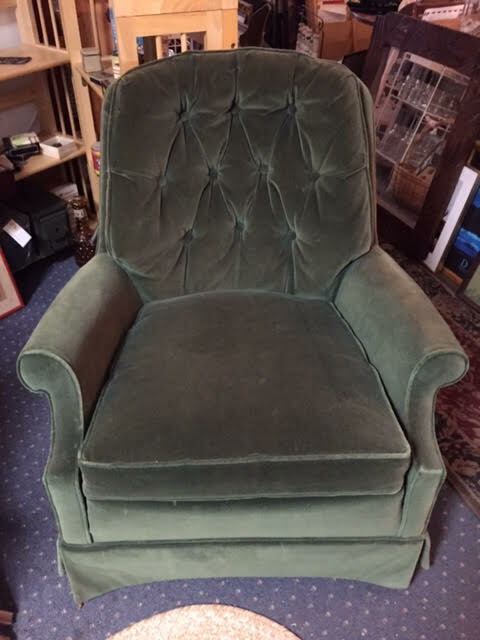 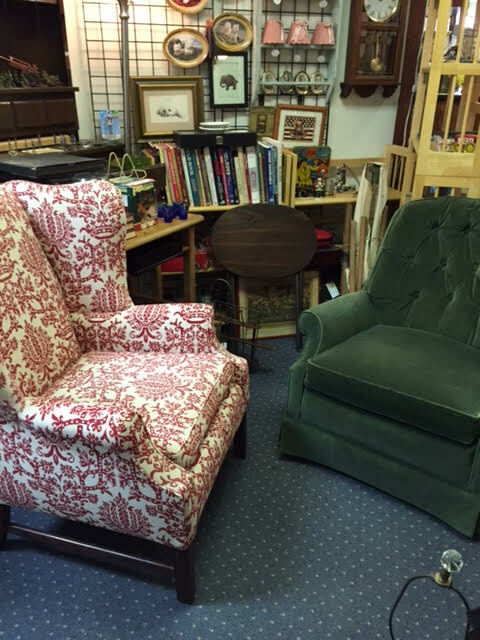 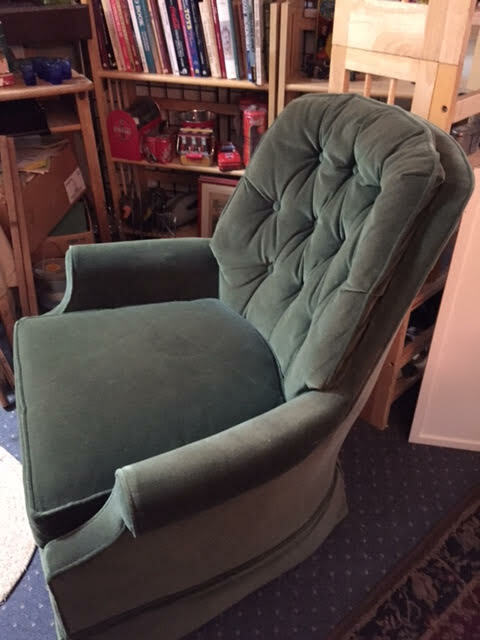 This entry was posted in Furniture - Classic but Contemporary, Home Decor and tagged comfortable chair, green chair, green velveteen chair, Heritage Collectibles, mom's chair, velveteen chair. Bookmark the permalink.